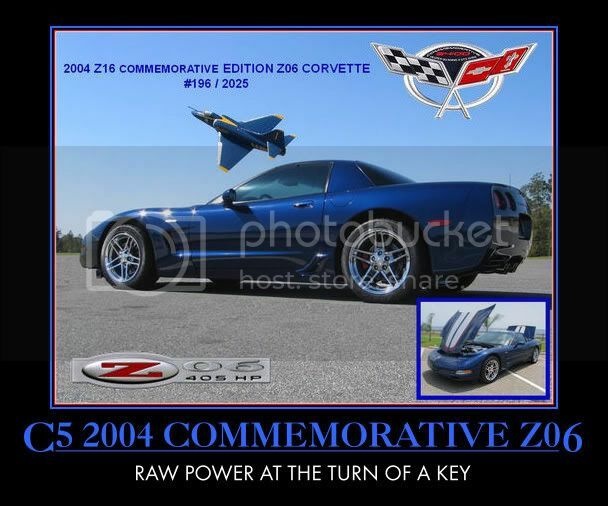 2004 Commemorative Z06 "The Patriot"
Mods: G5X3 Cam, LG Longtubes, Blackwing CAI, Engine dress up kit, C6 Z chrome wheels, partition and many extras!!! Keith see my post in the C5 general section . At first I was thinking this was my Z-16 #1312 in Houston tx.. I was on the Lex this year also.. nice ride ... I have the C-6 wheels as well ,was thinking about going back to the C-5 Zo-6 wheels ??? Cool ride..I love mine..
Pics from the Vette's and V's car show, there was supposed to be pics and a video of the event. Hi, do you know where there are pictures from the event? Thanks for the invitation to hang with ya'll in the future .It was a pleasure to be able to meet you and your wonderful family .I will miss the car show circuit and all the great people I've met over the years.Take care , hug the Grands and give your sweet Mom a hug from me. SEE MY THREAD IN C6 GENERAL SECTION ....Its been a Blast ! I guess it can't be done from an iPad ? Need others if anyone has one to share. Let me know.